Mayor Walsh and supporters from CPA, etc. BOSTON - Monday, April 1, 2019 - Mayor Martin J. Walsh, nonprofit leaders and community members today launched a year-long outreach campaign to ensure a fair and complete count in the 2020 U.S. Census. At a kick-off event held today at the East Boston branch of the Boston Public Library, the Mayor announced the City will invest an additional $100,000 in his FY20 budget that will be released next week to support Boston's outreach efforts by providing grants to community-based organizations and more support to City departments. This is in addition to a FY19 investment of dedicated staffing resources to support the City's census efforts announced in the Mayor's 2019 State of the City address. The census will be issued exactly one year from today, starting the decennial count that determines everything from representation in Congress, to federal funds for schools, affordable housing, infrastructure and health care programs. 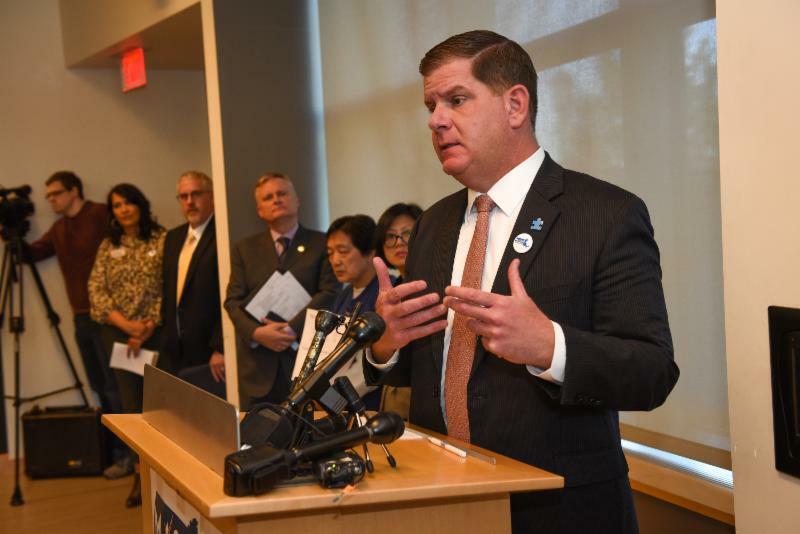 "We have been hearing threats from Washington to use the 2020 Census as another weapon to intimidate residents and weaken our democracy," said Mayor Walsh. "This is unacceptable at a time when our representation and federal funding are at stake. We recently appointed a census liaison within my administration and are kicking off this outreach campaign a year in advance to make sure every resident of Boston is counted, because every resident of Boston counts." The kickoff event highlighted a range of collaborations across the city focused on ensuring that all Boston residents are aware of the upcoming census, know why it's important, and are prepared to participate. Next year's Census faces unprecedented challenges, including significant underfunding of the U.S. Census Bureau, the nearly all-digital nature of the surveys, and the possible inclusion of a citizenship question. Data from the 2010 Census determine around $16 billion every year in federal spending for critical programs such as Medicaid, Medicare, affordable housing initiatives, Title I education funding, and infrastructure in Massachusetts. For every one person that's not counted on the Census, the state loses out on roughly $2,400 of federal funding. Despite the amount of federal resources at stake, there are multiple hard-to-count populations that reside in Massachusetts that historically have made a complete census count difficult. This is due in part to the state's population of recent immigrants, renters, college students, and other hard-to-count populations. Boston is the ninth hardest-to-count city among the largest 100 cities nationwide, according to a recent report by Boston Indicators and the Boston Foundation. "The library's mission is to support this work of civic engagement," said David Leonard, president of the Boston Public Library, where today's kick-off event was hosted. "We will continue being a trusted information provider, a safe space, and help everyone be counted, whether you arrived yesterday, ten years ago, or have been here for many, many generations." 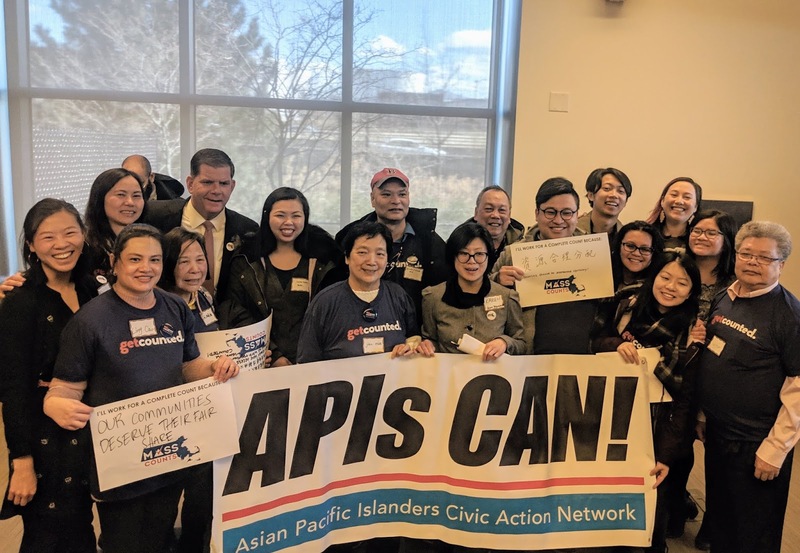 Alexie Torres, chair of the Massachusetts Census Equity Fund, said trusted messengers will play a particularly important role in compelling individuals from hard-to-count communities to participate in the 2020 Census. "The Massachusetts Census Equity Fund just announced the first half a million dollars in grants to over 40 organizations across the state, all to ensure that fear doesn't drive us into darkness," said Alexie Torres. "Darkness can only be cast out when we stand in the light. We must come together and support trusted messengers to highlight what's at stake for the 2020 census." For more information on the City's outreach efforts to ensure a fair and complete count, please visit boston.gov/2020-census.